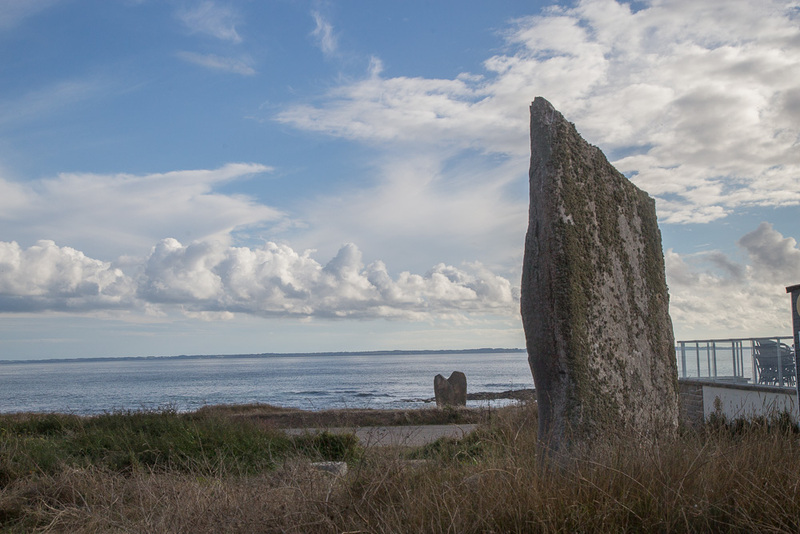 The Menhir at Beg er Goalennac near the Côte Sauvage – the Savage Coast – in Brittany is a favorite megalith of mine. It’s heart shaped, and sits on the coast facing west. It stands over eight feet tall. 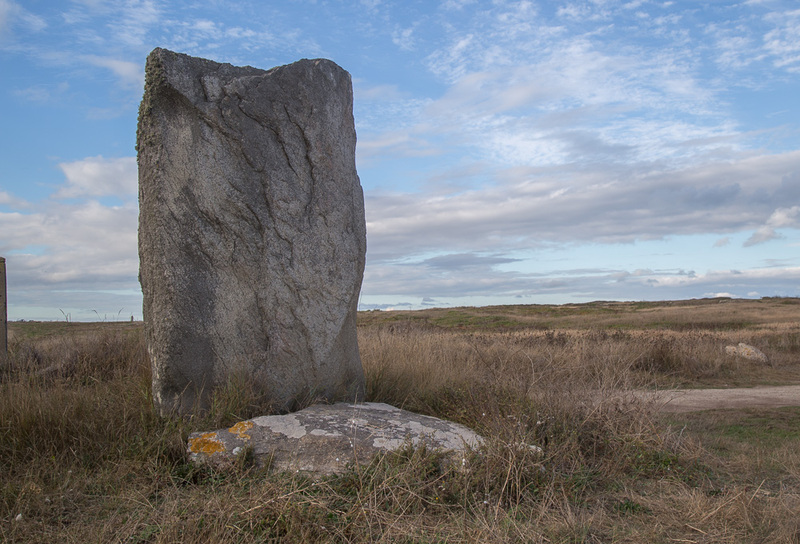 Menhir is the Breton name for standing stone. These monoliths in Brittany tend to be very tall and like other parts of Celtic Europe, they can be standing alone or in a cluster of other menhirs. They are believed to have been placed between four and seven thousand years ago, and northern France has over 1200 menhirs charted. Many of the pre-Christian megalithic structures in Brittany are believed to be much older than those in Ireland and the UK. The purpose of these giants dotting the Breton landscape? No one knows for sure. Speculations are boundary identifiers, ritual sites, calendars, wayside markers. Some of the menhirs have prehistoric art carved into the sides. Some have been found near tombs or near human remains. Some stand as solitary markers on the moors and other (like Carnac with over 3000 stones) in endless lines. 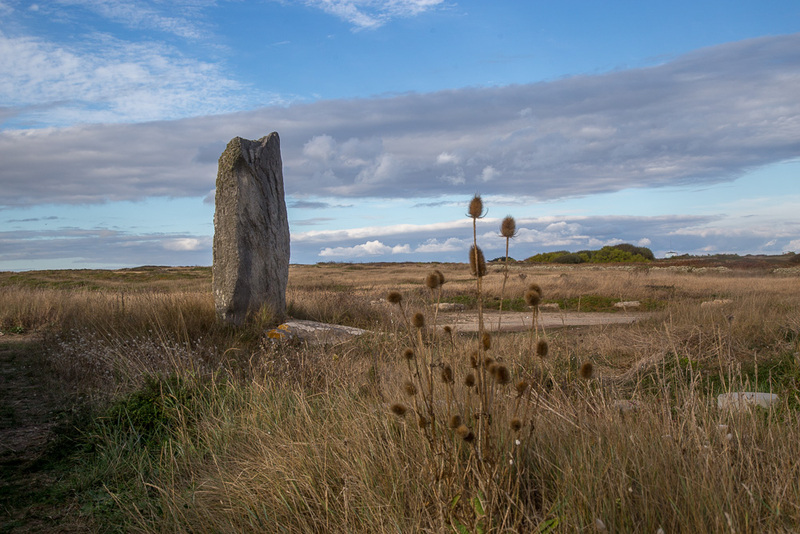 Lone menhir in the moorland along the highway leading to Côte Sauvage, Brittany. 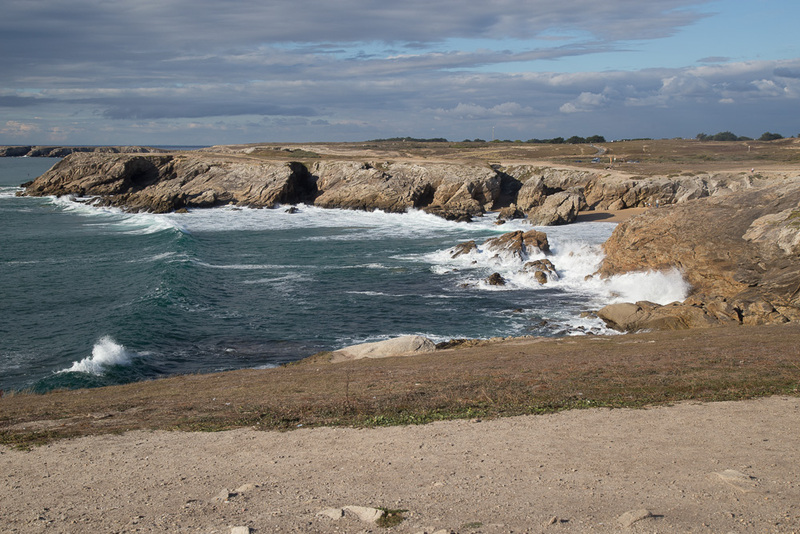 The coastal road on the Quiberon Peninsula heading to the Côte Savage has awesome sea views on one side and rolling, grassy moorland on the other. As you draw nearer to Goalnnac you begin to see the occasional lone menhir set off by itself in the moorland opposite the coast. It’s almost as if they are waymarkers pointing to something. 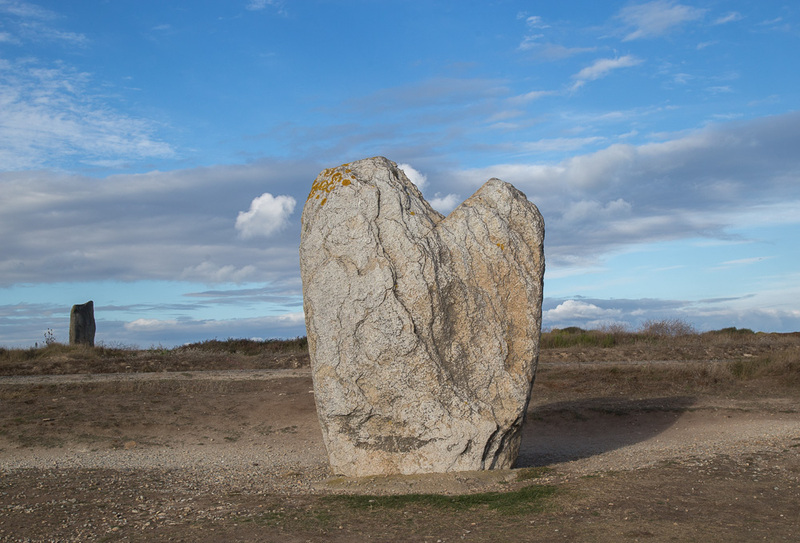 Eventually, the heart-shaped menhir – also known as the “bishop’s cap” appears in view. It’s so close to the road. I had Dan stop the car once we saw it so that I could get out for a closer look. I had only to walk a few feet as the menhir sits right on the road. I was immediately in tune with this thin place. 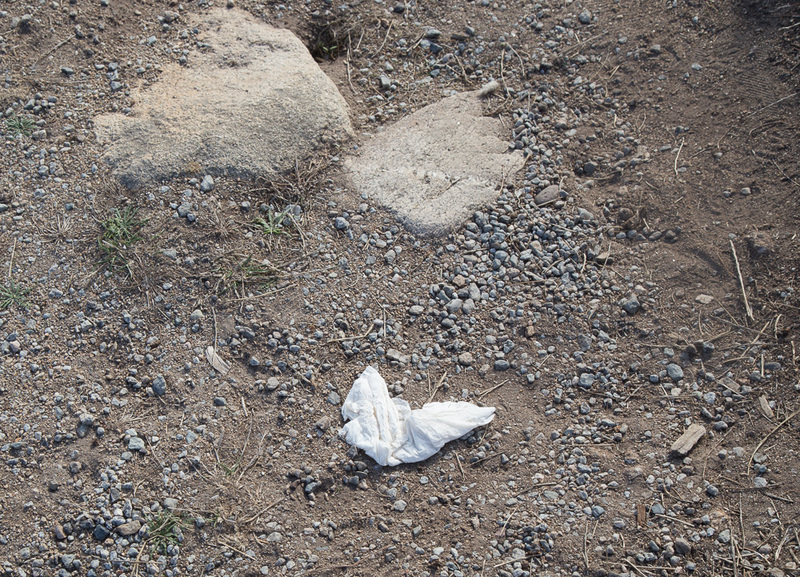 When I feel that energy – that special draw, I always look for signs from the other side – a bird, a butterfly, a stone — something that says “there’s a connection here.” As I stepped out of the car, I noticed a discarded napkin in the shape of a heart. 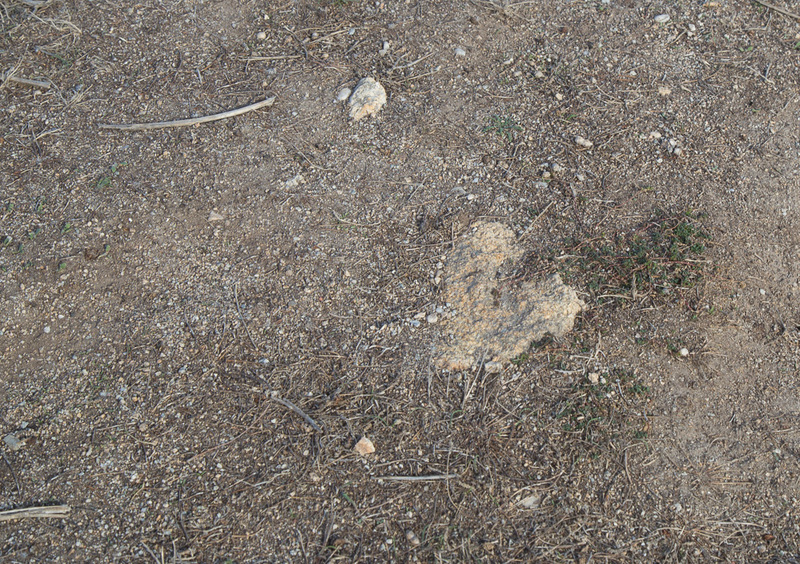 I laughed at myself thinking “I’m really reaching for it now – heart-shaped trash.” But I moved a few feet closer and saw another heart shape in the mud. I still thought I was wishing it to be so – but I snapped shots of these hearts with my cell phone. 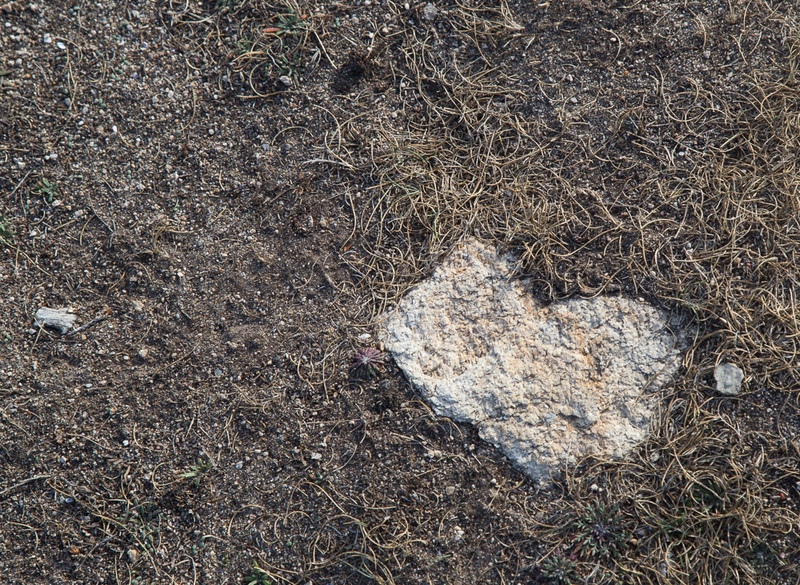 Then as I came into the shadow of this giant heart, I saw another heart stone in the sand. Three hearts in the space of twenty paces. 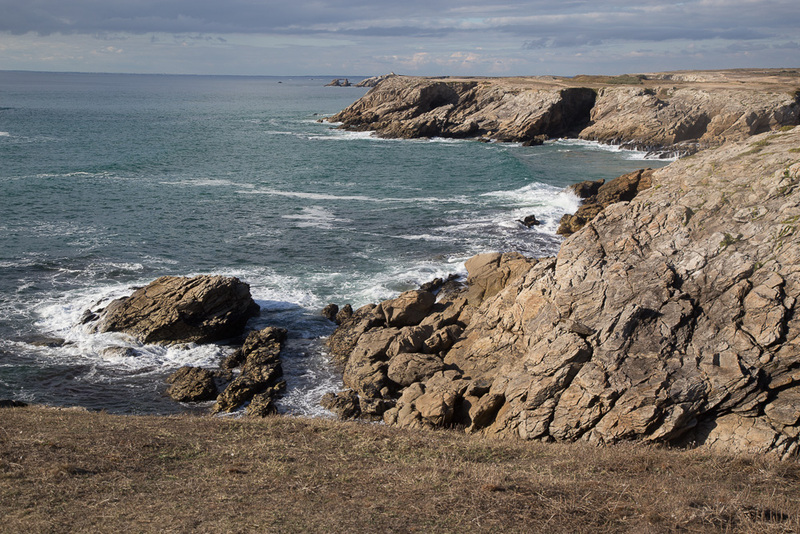 I can’t describe the sense of standing in the shadow of this stone – tuned in to its energy with the sea on one side and Brittany on the other. But as I stood there – in the moment, I tried to absorb all that I could, so that I could remember. Dan joined me and we sat for awhile. He felt it too. The amazing pull into a higher self. 2nd menhir at Goalennec – stands across the road from the Heart menhir. Its former top sits in front of it. This trip to Brittany was our anniversary trip. And we shared a moment of blessing in the shadow of these two old stones. As Dan and I turned to leave the big heart, I wished I had one little memento of this spot. 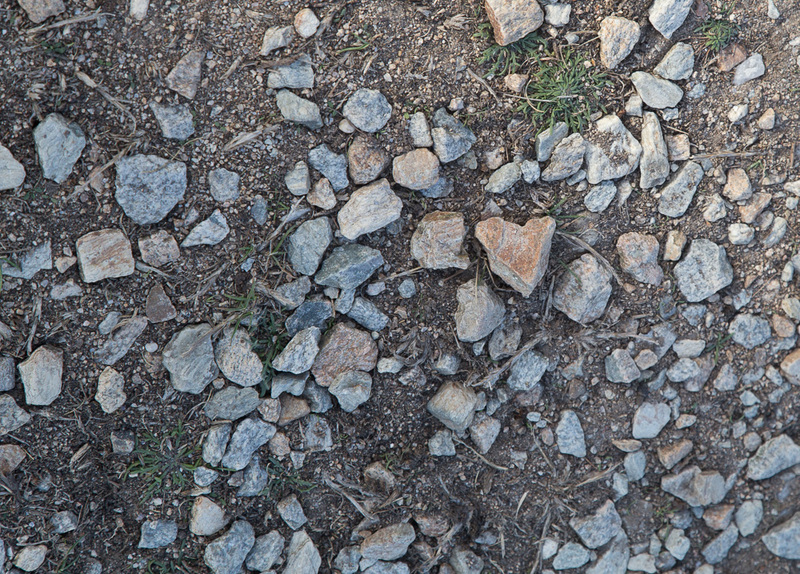 I looked down and sure enough – I saw a perfect little heart shaped stone at my feet. A gift. 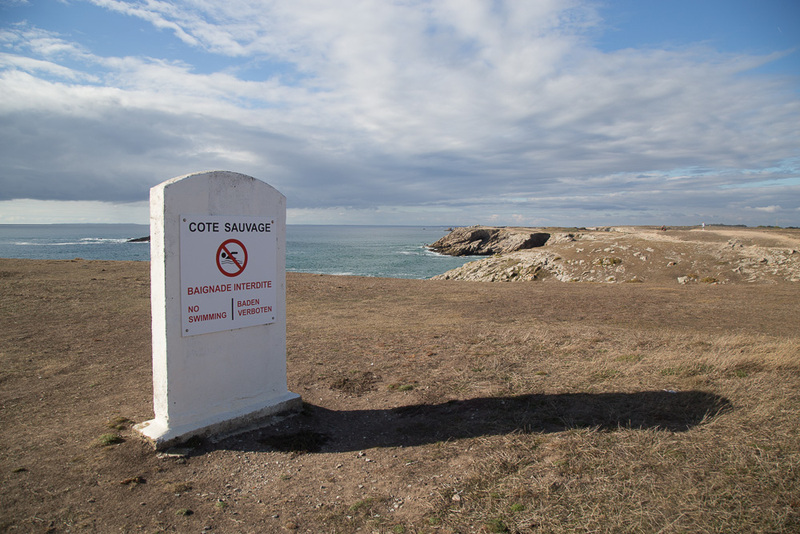 This little gallery shows our drive down the coast road to the Côte Sauvage – the lone menhir in the field, the little heart signs I found on the walk up to the heart-shaped menhir, and the 2nd menhir across the road — these two jewels. A thin place.